Home / Movie Reviews • Reviews / Masterminds Blu-ray Review! When it comes to over the top comedy, you can’t do better than a cast that includes Kate McKinnon, Kristen Wiig, Zach Galifianakis, and Owen Wilson. That’s a pretty powerful cast and it pretty much indicates what the audience is in for: over-the-top screwball comedy. That’s not necessarily a bad thing, the original Hangover, Bridesmaids and Old School took this type of comedy and mined it for gold. When it works, it works to excellent extent. Masterminds, out now on Blu-ray, tells the “real life” tale of David Scott Ghantt (Zach Galifianakis) is a dorky guy with a crazy beard and an out of date haircut. He wants to be a hero but instead is pretty much a sad sack, in dating, career, pretty much everything. Ghantt is engaged to Jandice (Kate McKinnon) who is an odd country girl who definitely marches to the beat of her own drum. Ghantt begins crushing on Kelly (Kristen Wiig) and they end up going out on some friend like pseudo dates. On one date Ghantt takes Kelly to a shooting range and the gun discharges down his own pants. Kelly gets fired and shacks up with Steve (Owen Wilson) her friend who comes up with a plan to rob their company. This unlikely trio actually pulls off the robbery which brings in FBI Agent Scanlon (Leslie Jones). She tries to put the pieces together and figure out who is responsible for the crime. Ghantt gets freaked out and flees the country and leaves Steve and Kelly, even though Kelly starts to have some small inkling of feelings for Ghantt. 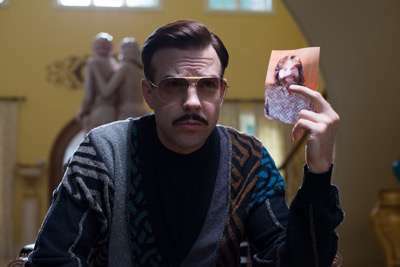 Steve then decides to get a hitman involved named Mike (Jason Sudeikis) to take care of Ghantt and here is where the film tips from screwball comedy to complete lunacy. I think it would have been more effective had the writers and filmmakers stuck to the original story and not tried to make it an over the top comedy. One can see the semblance of what would be a funny and compelling story and instead it just goes off the rails. I don’t know if it’s the script or that the cast was clearly allowed to improv a lot of the picture but it loses it’s way. Masterminds heads to blu-ray thanks to the folks at 20th Century Fox Home Video. The picture quality is excellent as to be expected, the details are sharp and crisp. The daytime scenes are brightly lit and look excellent. In the darker scenes some fallout is visible but it’s not enough to distract from the overall look of the movie. The close-ups show excellent details, you can see every emotion and pretty much every follicle of hair on the actors heads, it’s pretty outstanding. The Imperfect Crime – This is a look at the actual crime with interviews with the real life Ghantt and other people involved in the caper. It’s really more interesting that the film presented and only highlights the fact that if the film stuck to the original storyline it might have been more effective. There is also the original theatrical trailer. Overall, I was really hoping for a lot from Masterminds. There’s so much talent involved and to not have the film jell is a real shame. It could have been a real comedy classic if the film were stronger and the script been given a lot of reworking. The improv nature doesn’t do the film any good and sadly it falls flat. Masterminds is out now on blu-ray! 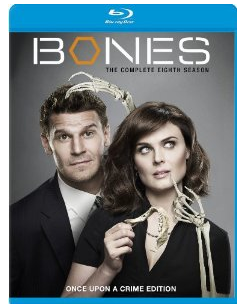 Bones The Complete 8th Season Blu-Ray Review! David Boreanaz & Emily Deschanel Are Back For Another Season! Jurassic World: Fallen Kingdom Blu-ray Review! The Strain Season 2 Episode 6 Review And Recap! Identity! 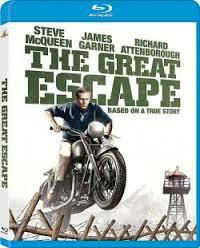 The Great Escape Blu-Ray Movie Review! Does The WWII Classic Hold Up On This High Def Release! James Garner! Richard Attenborough! Donald Pleasence!